Today I have the absolute pleasure of taking over “Who is She” Whilst Ray Suns herself in a foreign destination (I am not jealous at all. honest). Some of you may already follow my blog but if not I will do a quick introduction to myself…. I am Charlotte and I write a blog called Charlottes Obsessions which primarily features lots of make up talk! Which is what I will be bringing you today. I am an incredibly nosey person and love posts such as “what’s in my bag” and “what’s in my makeup bag”. 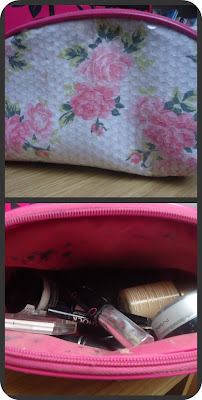 Today I thought I would let you have a little look into my make up bag and the products I am currently enjoying using. My Make up bag is just a cheapy from Primark but I think it is really pretty. First up we have the face products. I am a foundation junkie and I am a great believer in creating a perfect base is key to any look. I really like the Loreal Secrets Primer, it does a nice job of resurfacing my skin which leaves it ready for foundation. I have had this Collection 2000 concealer for some time but never paid it much attention. I find it easy to blend and find it gives nice coverage and has great staying power. It certainly doesn’t crease either which is always a bonus, not sure you could ask for much more considering it only cost a few pounds. As I previously mentioned I love foundation so I am always on the hunt for a new on, I picked this Origins Foundation up in my Local CCO (York) the other weekend and I have opted for it everyday. It gives a medium to full finish and has fantastic staying power even without a primer. I always like to set my foundation with a powder and recently have been reaching for my Mac Prep and Prime Translucent finishing powder. I find the Mac Msf Natural can sometimes cake on me but this is perfect. When this is finished I think I will try the Rimmel one which is supposed to be a good dupe for the Mac One..It's all about saving the pennies right? I am an absolute eyeliner and mascara freak! I obsess over it! I am always on the search for a new mascara that will give me lashes like the annoying "lash inserts" on the adverts. My latest addition is Benefit Bad Gal..simply amazing (I have a review here). On my water line I have recently been reaching for the Avon super shock gel eye-liner which has great staying power and is very black. On the top I like to line my eyes with the Loreal Liner. I have recently made a rediscovery with this and I shall defiantly be buying more. 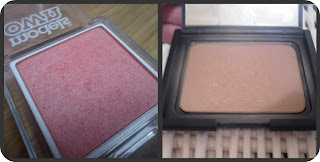 If you read my blog you may have seen the post where I raved about peach coloured products. I am still loving this trend and I am still in love with the blush pictured from Model's Own in Warm Glow. What I love the most about this besides the colour is that is gives a nice sheen to the face meaning you don't have to use a separate highlight product. I am also enjoying Nars Laguna to give my skin that sun kissed look! I rotate my lipsticks every couple of days and I am currently Loving Mac Shy girl to fit in with my love for peachy colours. I usually opt for a pink but lately have been craving shy girl! 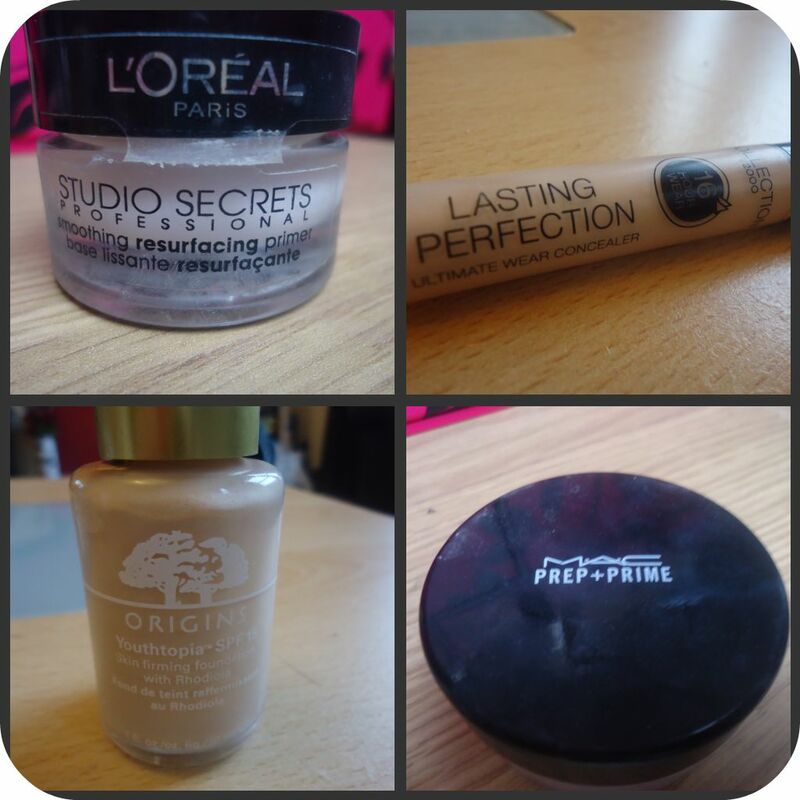 So there we have it, the products I am loving at the moment. Massive Thank you to Ray for letting me invade her virtual space and please don't come back too tanned or I shall be very jealous!!! I love the mac shy girl. I'm not a huge on lipstick but I really should try this out. Thanks for posting love. Amazing post. Don't forget to check out April's cover wars and find out my latest trend report. Loved ths post, now following your blog! I'm a total sucker for the 'whats in my bag' post aswell, this was a great one to stumble across.